Just a quick post with my predictions for the new football league season starting next week. This is how I see the Premier League, Championship, League 1 and League 2 finishing up. These could be amazingly correct or staggeringly wrong, we shall see how the season develops. 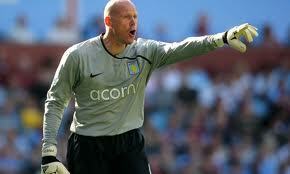 MacKail-Smith ready for the Premier League? After leading Peterborough United back to the Championship, Scotland international Craig MacKail-Smith is on the verge of a move to the Premier League with a number of clubs rumoured to be involved in a battle for his signature. 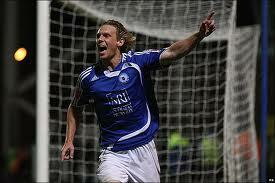 This seasons top scorer in League 1 with 27 goals, MacKail-Smith has been linked with a move away from the Posh for the last couple of seasons after showing an ability to find the back of the net on a consistent basis and after being asked to stay at the club following their relegation from the Championship next season, his goals have fired the club back up to the second tier of English football at the first time of asking. First coming to prominence with Dagenham & Redbridge whilst in the Conference, MacKail-Smith was instrumental in their 2006-2007 season in which they won the Conference title and earned promotion to the Football League. He moved to Peterborough the following season and once again tasted promotion in his second season with the Posh as they climbed from League 2 to League 1. A second successive promotion followed up to the Championship before last seasons drop back to League 1. It is now clear that the striker’s future is away from London Road and having proved his worth as a goal scorer in the lower leagues, he will now have the chance to show if he can make the step up to the top level with a move to a Premier League club on the cards. There have been a number of players who have made the move from the same level to the Premier League and failed to make the grade. Obvious examples include Jon Stead and Nathan Ellington and MacKail-Smith will be keen to prove he is not another sharp shooter who can’t replicate their form at the top level. However, the 27 year old MacKail-Smith has certainly earned his chance at the Premier League after a number of consistent seasons whilst the likes of Stead, who was only 20 when he moved from Huddersfield in League 2 to Blackburn Rovers in the Premier League, burst onto the scene and was elevated before he was ready. Newly promoted Norwich City seem to be the favourites to win the race for the striker in a deal apparently worth £3million although there has also been reported interest from Q.P.R, Wigan and Everton. Wherever he lands though, this is MacKail-Smith’s opportunity to establish himself as a Premier League player and achieve what would be a relatively impressive statistic of reaching double figures of goals in a season in all four leagues and the Conference.